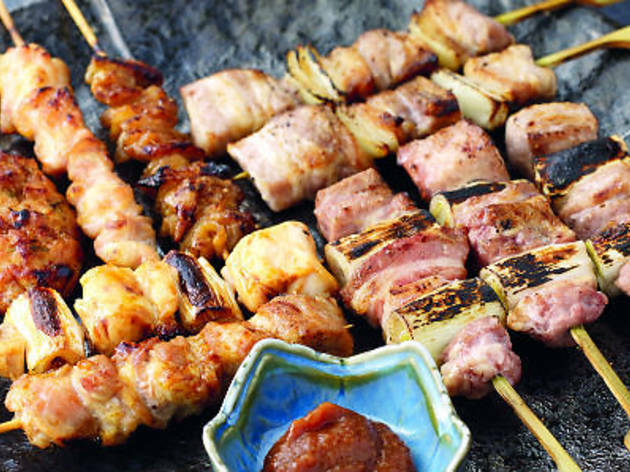 Hailing from Saitama prefecture, the Hibiki Company has over 60 years of experience running yakitori restaurants and manufacturing sauces, helmed by the restaurant’s eponymous chef legend, Bunji Hibiki – who’s said to be an ambassador for the skewer cuisine, and chair of an association of yakitori restaurants in Japan. His name might add a bit of prestige to their first overseas outpost, but you’d hardly know it, given Yakitori Lounge Hibiki’s sleepy location just off Sixth Avenue. Working the charcoal grill from behind the foggy glass window looking out into the 30-seat dining room and bar is young Japanese transfer Onodera Sadanori, who quietly carries on the sensei’s craft. There’s a page of limited yakitori options in the menu – basically variations of chicken or pork (plus one beef option for a whopping $9). 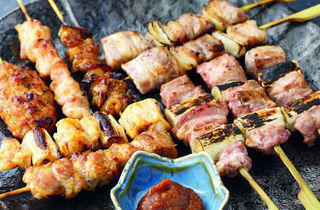 The meat comes out juicy and flavourful – the stick of small squares of deluxe pork ($5.50) rich in animal flavour is worth the upgrade, while the lumpy popsicle-shaped minced chicken tsukune stick ($4.50) and the little rich, carmelised gobs of chicken hearts ($2.20) are both must-orders. 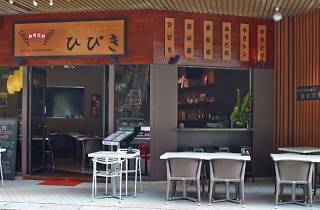 The menu is riddled with endearing Engrish – ‘mashroom’ yakitori, or ‘chiecken’ served with green tea, anyone? – with the remaining pages taken up by various appetisers, rice dishes and a hotpot page. As prices of the sticks do tend to add up (expect to get at least eight sticks for a proper meal), look to fill up instead on the sukiyaki ($24-$34) or shabu shabu ($24-$34) sets – our hot pot of pork featured two cuts of good, savoury meat. We don’t recommend many of the appetisers – the interesting-sounding marinated fire-fly squid ($12) produced a small bowl of raw brown gooey meat, which some in our dining party found a little too fishy to stomach. The half-boiled egg with salmon roe ($8) read like a winner, but the cold orb served unnecessarily with peels of yuzu killed any sort of anticipation for the dish. What ultimately differentiates Hibiki from the competition here is the smoky, umami-rich brick red miso barbecue sauce produced by its parent company, which the kimono-clad servers dole out from an earthenware urn for diners to slather on their meats. 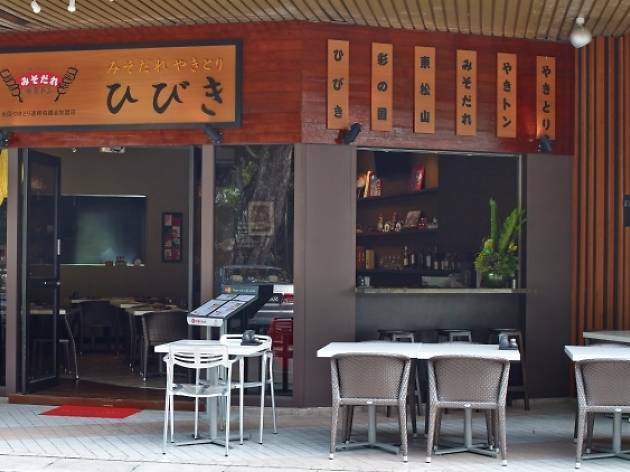 But beyond that, don’t expect much more from the service – Hibiki, given its residential Bukit Timah locale, seems targeted at the tired but well-heeled neighbours just looking for a quiet dinner (or Japanese clientele, given the Facebook updates in their native script).